Is Easy a Bad Word? I was watching an old episode of one of my favorite shows - The West Wing - when a quote from a scene caught my attention. In it two of the main characters (Josh and Tobey) are talking to a man from the mid-west who was taking his daughter to visit colleges. In the midst of conversation, the father expresses concern about being able to pay for college and says: "It should be hard. I like that it's hard.... But it should be a little easier. Just a little easier." Though the conversation revolved around paying for college, I think it is just as relevant to many of us and our everyday lives in the association world. Non-profits are notoriously bad at saying no - to new projects and ideas, to starting new programs without ending others. Each year the to-do list that an association must face often seems to grow while staff and resources remain the same. It's hard work - it should be hard work. The work associations do is important and ever growing and changing. Yet, what if it could be a little easier? 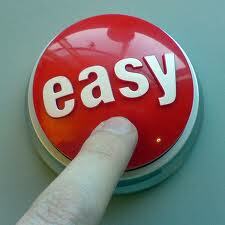 Yes, the commercials are a little dated and more than a little silly - but what if we had an easy button. Doing a quick word association game with a few colleagues, an interesting word kept popping up related to easy - lazy. 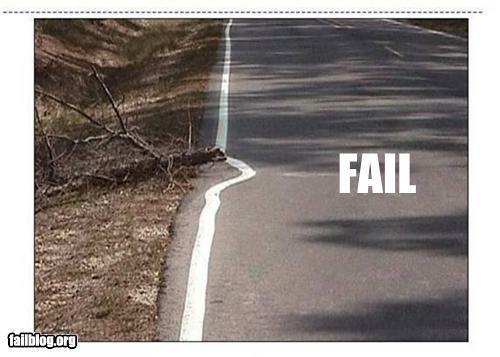 By making a task easier to complete, is there implied laziness in the effort of the worker? In short, I would say no. I do not believe easy has to be a bad word - if we are able to make the tasks that we have to do easier to complete then just think of the greater accomplishment we will be able to take on and achieve. Many associations are now in the midst of annual planning - asking in the year ahead how can we do better? How can we improve upon the value offered to our members? While making plans instead of asking how we can do more, what if we also asked how we can make what we already do easier to accomplish? These are hard questions, difficult to answer. Yet, if we can make our tasks easier, even just a little, we could see even more remarkable achievements in the year ahead.